Home · Property Management · Latest News : Do Landlords Have to Pay for Fumigation? Do Landlords Have to Pay for Fumigation? Every landlord knows there’s going to be an argument when extermination obligations arise. Without fail, the tenant claims the landlord’s responsibility is to maintain the property by exterminating the nasty bugs. Without fail, the landlord claims the property was clean before the tenants left a nasty mess in their kitchen that attracted the bugs. 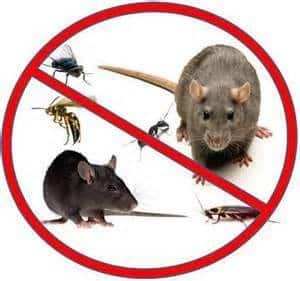 The final determination depends on the situation and the specifics of the lease, yet there are universal expectations concerning pest control. In an apartment situation, the landlord is obligated to fumigate regularly. Bugs pass between walls and no tenant can reasonably be expected to be responsible for their neighbor’s lack of sanitation. Additional fumigation should already be expected by the landlord who has an existing contract with an extermination company hired to handle these problems. This is considered both “good business” and a business expense that was evaluated before setting the rental price for the apartment. There is a reason landlords like to keep their tenants as repeat customers. Holding costs as well as maintenance fees between tenants are a bad proposition for business. Painting and carpet cleaning are well known expenses; having an exterminator is not something tenants tend to think about. And yet, the new tenant expects to move into a clean house and a professional exterminator is part of the process to achieve a rent-able house. For the first infestation, there is an expectation of good faith by the landlord covering the costs. This assumes that the house passes the general inspection as laid out by the lease contract and the tenants are maintaining their responsibilities of keeping the home clean while maintaining their obligation to pay rent on time and keep utilities active. With this criteria being met, the tenants are being reasonable to expect the landlord to provide a clean and sanitary home. The landlord does not live in the home and can’t be held responsible for food left out that continues to attract germs, bugs and filth in general. After having the house fumigated between tenants and absorbing the cost of an extra extermination run through, the landlord can’t continue to be held responsible for actions of the tenant. Extermination becomes the responsibility of the tenant as a general expense of maintaining the home while living there.